Commencing in February 1916 Senussi forces under Sayyid Ahmed, occupied the Baharia, Farafra, Dakkla and Kharga oases to the west of the Nile. This necessitated the 53rd Division and three brigades of dismounted Yeomanry being distributed in garrisons in Upper Egypt from Fayum to Assiut, for the whole summer. 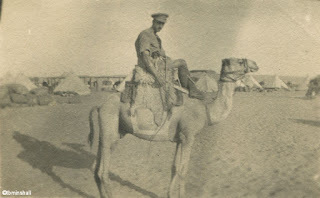 Initially posted to Minia, some 150 miles south of Cairo, the role of the Cheshire Yeomanry was to assist in the capture and occupation of the Baharia Oasis. 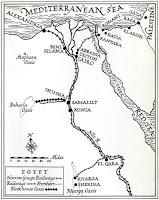 “The main difficulty of the operation was the lack of any water between the Nile and the oasis. On top of this, the desert was extremely difficult to cross in places. The advance, therefore, had to be gradual in order to enable supplies to keep pace with it. 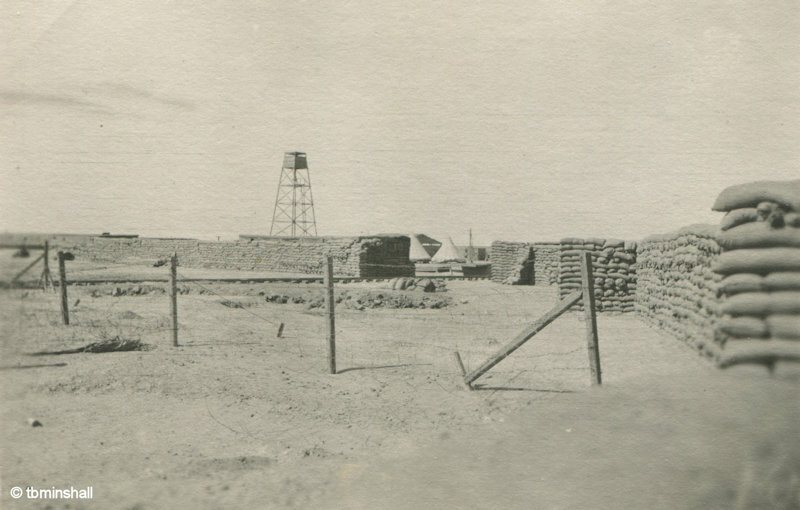 To protect the lines of communications, block houses were built every ten to 12 miles. They were known as B.1, B.2, etc. 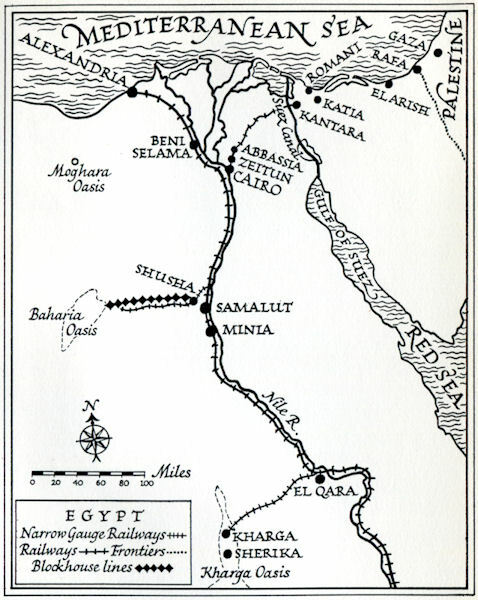 Railhead for the Baharia Expedition, as it was called, was then at Samalut, close to the Nile, while the advance post was at Shusha some ten miles to the west. It was from Shusha that the block house line ran out into the desert in the direction of the oasis. At the end of April, B.4 was nearing completion. 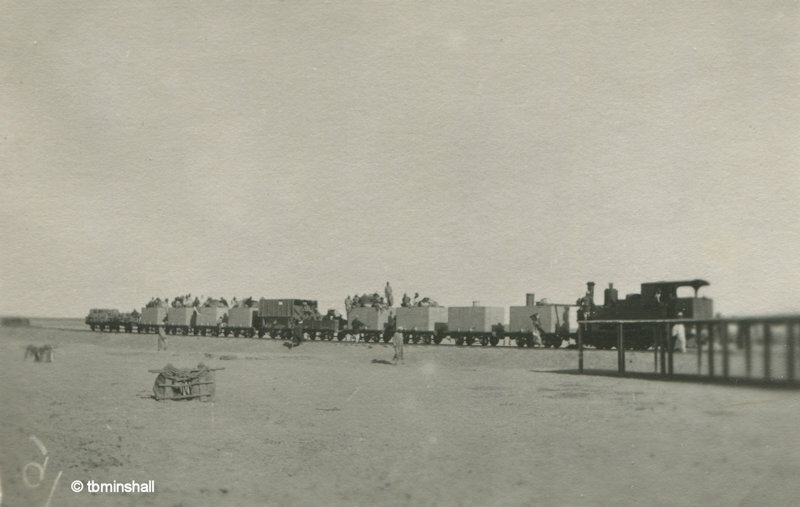 At the same time as the block house line was gradually extended a light railway was being constructed into the desert. 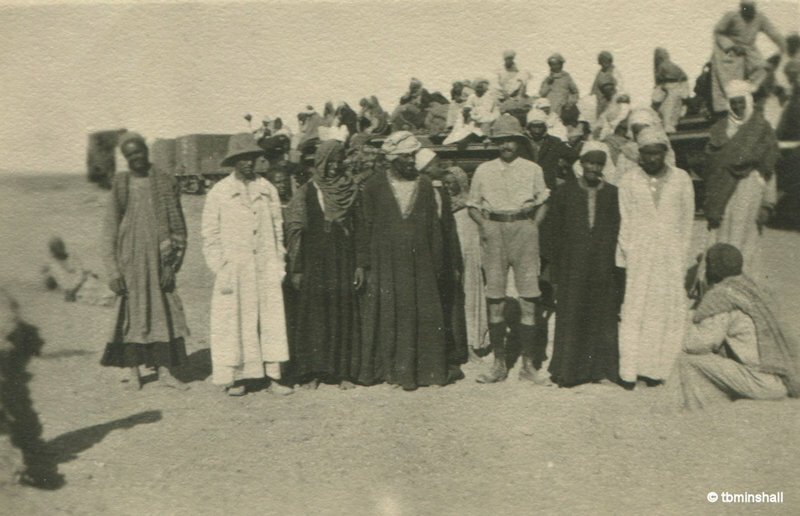 Progress was rapid thanks to the efforts of the Egyptian Labour Corps. In May the Cheshire Yeomanry began to assist the operations of the lines of communications (L. of C.). 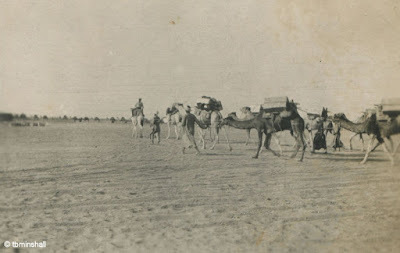 By June “A” Squadron were in Samalut where they were responsible for all duties connected with the railhead and providing a guard on the light railway as it progressed. “C” Squadron moved to Shusha, leaving the regimental headquarters and “B” Squadron at Minia. The camp at Shusha was on raised ground at the edge of the desert, and from there the line of block houses stretched into the distance. Ten miles to the east cliffs of the Nile valley could be seen, and between the camp and the cultivated Nile area there stretched a great inundated region, crossed by a causeway for the traffic to the camp. One of the sights of Shusha was the camel camp. There were hundreds of beasts in long lines, and from time to time a great caravan laden with water would stride forth into the desert. There was some respite from the desert and a scheme had been organised by which men could spend time at a rest camp at Sidi Bishr near Alexandria. Men were sent there in rotation for approximately 10 days, in batches of 20 at a time. Here sea bathing and the cooler climate were welcomed. There was increased activity on the L. of C. in July, as instructions were received to proceed with another block house, B.5. This meant that a larger garrison was required up the line and towards the end of the month “C” Squadron moved from Shusha and garrisoned B.2 and B.3. By the end of August, B.5 had been finished and B.6 was nearing completion. The light railway too was expected to reach B.6 by early October. The six block houses, each about seventy yards square, were walled with sandbags. They were linked by telephone and stocked with reserves of food, water and ammunition. Neither the railway nor the block houses were to be extended beyond this point. The intention was to base the occupying force on B.6 and supply it from there.